* Rates can go up and down depending on economic and market condition. * Rate can go up and down depending on economic and market condition. * Rates can be change according to market movement. Depositors for Kiddies and Youth Savings are not members of the Cooperative. These savings are extended services to member's dependents/relatives. This savings product is open to all COOP members. Initial over-the-counter deposit of Php 1, 000 to open an account. Maximum total deposit amount of Php 2M. 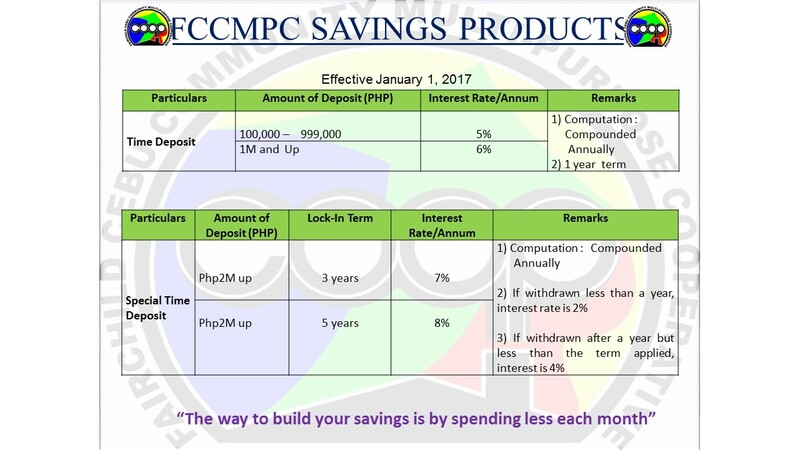 This loan is to provide FCCMPC members or institution financial assistance that will augment the capitalization of their existing business. This is a secured loan type wherein the applicsnt shall submit the required documents supporting their business. *Rates can go up and down depending on economic and market condition. Provide the members option for fast loan processing. A short term credit facility used for members' purchase on account from accredited suppliers of dry goods, groceries and ETC. 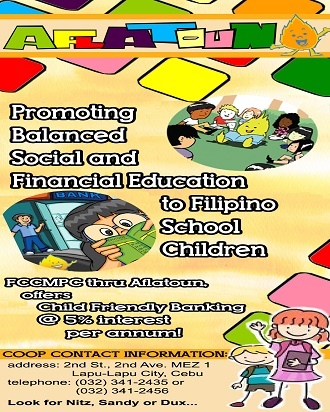 This type of loan is to provide FCCMPC members a facility to avail of an educational loan programs so they can finish their studies or send their children to school without having difficulty in payong the school tuition fees. This type of loan is used to assist members in their hospitalization expenses. Intended for all types of expenditures. Walk-in over the counter cash availment. This type of loan is availed with real state property as collateral. This type of loan account is a facility that allows a member to purchase miscellaneous items from accredited suppliers. Maximum amount is equivalent to the members' fixed deposit. Payment to maximum of 1 year. Cellphones & Accessories, Computer Equipments, Accessories & Peripherals. 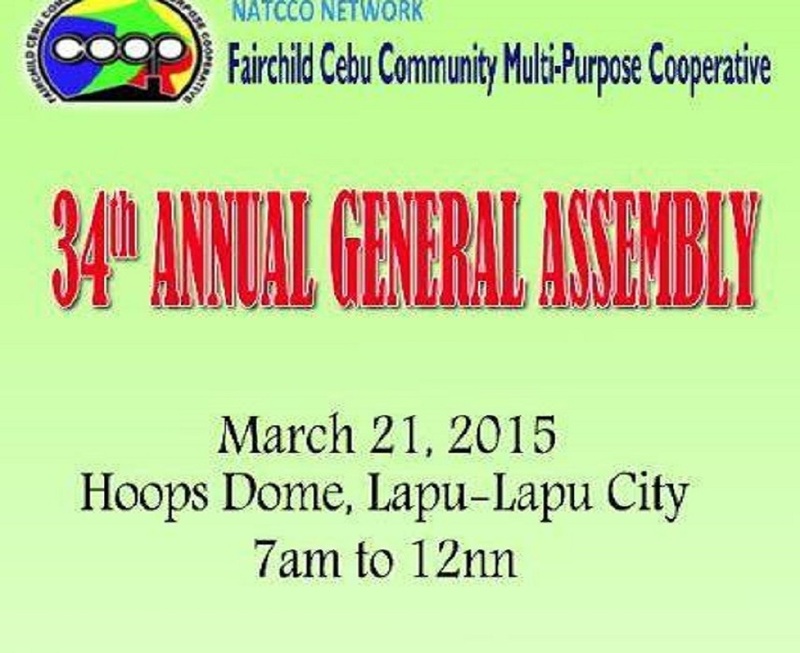 Home Appliances c/o Asian Home & Emcore Generic Medicines & Grocery Items c/o FCCMPC.